Also known as the Steven F. Udvar-Hazy Center, this is a must visit destination if you are ever in the Washington DC area. It was really nice to see the space shuttle in person. 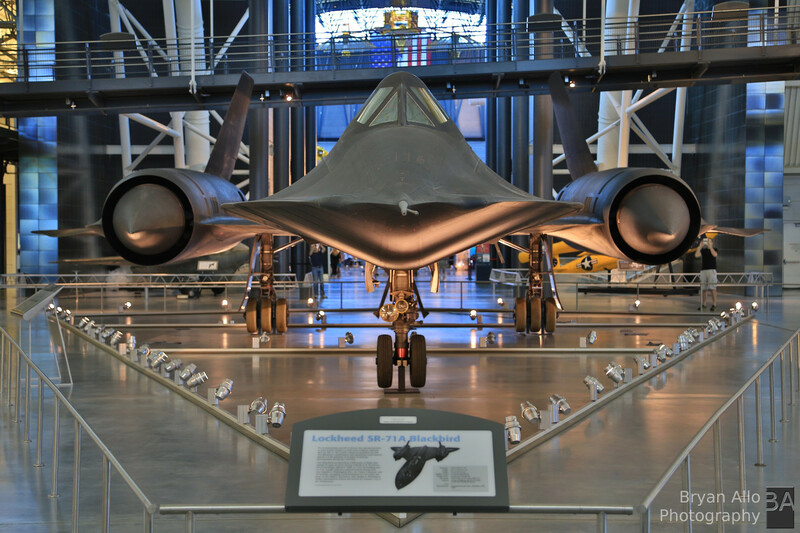 I had seen the Lockheed SR-71 Blackbird in person once before at the San Diego Aerospace Museum but not this up close. It really gave me a sense of the scale and marvel of engineering. After seeing the Blackbird and the Space Shuttle Discovery I was even more impressed by the sheer size and engineering feat that the Concorde was, especially considering the era in which it was built and the fact that it was entered into commercial service. These three feature air/space craft cast by far the longest shadows at the museum. They are a true testament to the sheer determination, passion, brains, brawn and guts of engineers of old with little more than slide rules and a clear uncluttered vision. There is a also a great observation tower with 360 degree view with great plane spotting opportunities as various aircraft approach both Dulles airport runways on both sides. I did not get any good shots while up in the tower, however I will definitely go for a plane spotting outing here, next time i visit DC. All shots were taken handheld with the Canon 5D Mark-III + EF 24-105mm f/4L IS USM lens using in camera HDR processing, no post processing other than watermark and resizing using GIMP Batch Image Processing. Below are the highlights from my tour of the Museum and a large panorama of the Concorde. Fantastic. Thank you for sharing this. I have never been, but it looks like I should. You’re welcome buddy. My pleasure. Definitely plan on checking it out next time you’re in the DC area. I still have a few more spots to post about (that you might like) from this weekend. Stay tuned. Cheers!